Melodics for V-Drums pre-play screen. 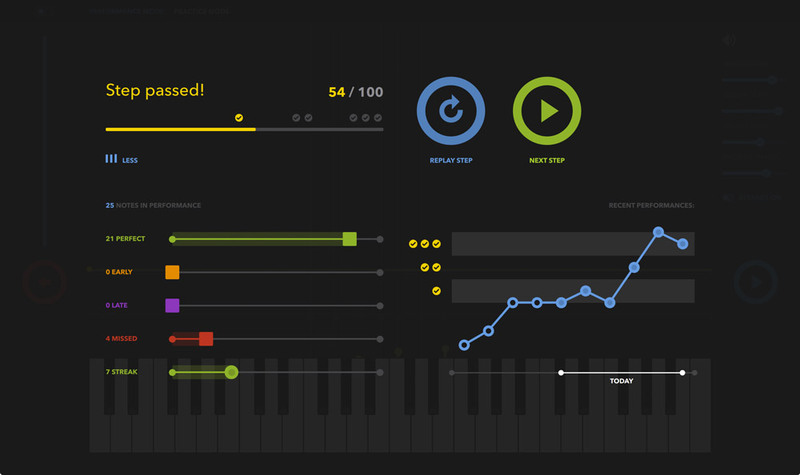 Since 2015, Melodics has offered its unique desktop music lesson app to improve the beat-making skills of DJs and EDM musicians using pad controllers and drum machines. With their powerful USB audio and MIDI capabilities, V-Drums are a perfect fit with Melodics’ innovative modern lesson style. The app’s lesson programs have a highly visual design that integrates interactive game styles to keep users motivated. Lessons are created by a variety of contemporary musicians to cover a wide range of music genres and playing styles, and new lessons are introduced every week to encourage regular practice. 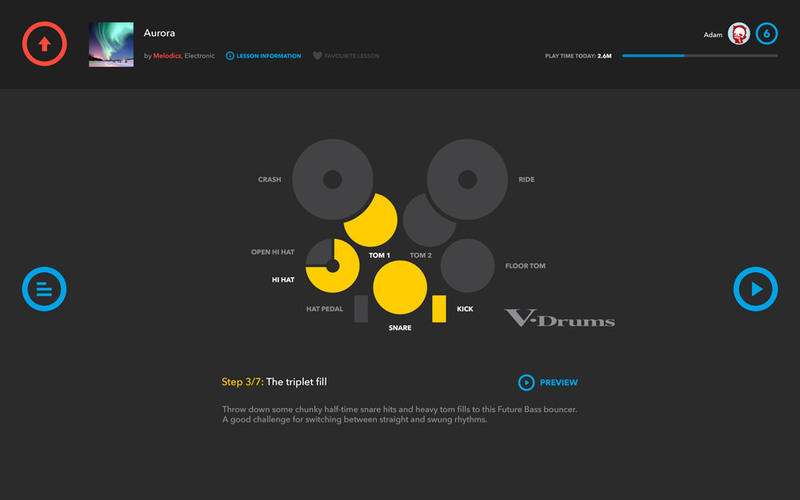 Download the Melodics for V-Drums app and get started improving your playing today! 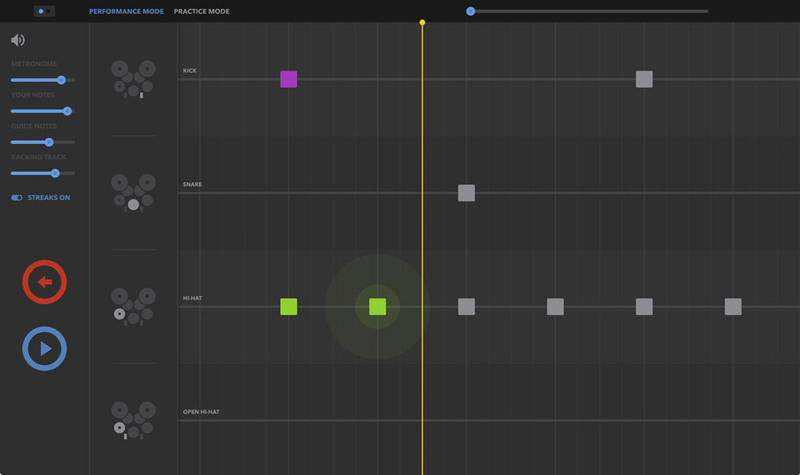 Screenshots from Melodics for V-Drums.